Amazon announced today it will hire 100,000 new full-time workers over the next 18 months, increasing its full-time American workforce to more than 280,000 by 2018. The jobs won't just be located in its home state of Washington, as the firm will add employment to its growing base of fulfillment centers across the country. 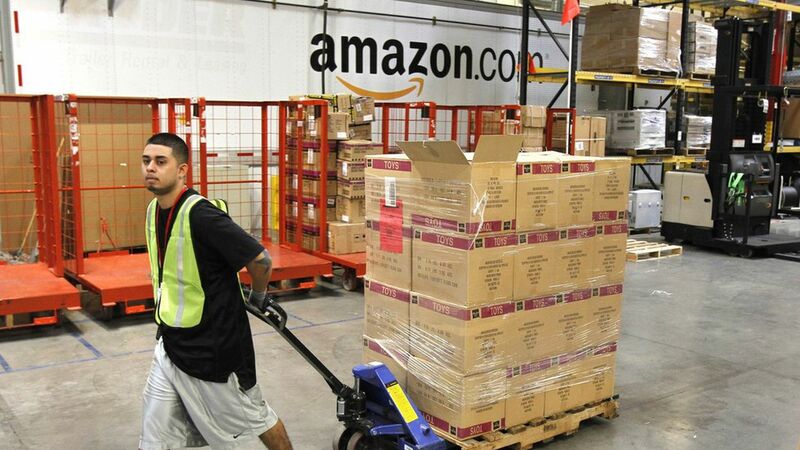 Amazon plans to add 6,500 new jobs in Florida and 7,000 jobs in Illinois, for instance. Why this matters: Amazon's plans are a testament to the strengthening economy and a much tighter labor market. The company is likely reacting to the large decline in the number of workers available for part-time work. The above chart shows the number of workers who work part time, but want full time work, a good proxy for the available pool of part-time workers. By hiring now, Amazon is moving to lock up the best low and middle-skilled workers before the labor market gets even tighter. What are the politics? Donald Trump will surely take credit for this and other similar moves, but hiring today is more likely the result of a recovery that's been gaining steam for years now. Sometimes it's better to be lucky than good.